Thank you for visiting Lee's Summit Chrysler Dodge Jeep Ram online listing. When you purchase a vehicle with the CARFAX Buyback Guarantee, you're getting what you paid for. The best part about this well-maintained vehicle is that it is a CARFAX one-owner vehicle. The Jeep Renegade Trailhawk offers a fair amount of utility thanks to its advanced features and unique styling. It's also quite sporty, and injects an ample amount of handling chutzpah into the ridin'-high body of a family-friendly SUV. 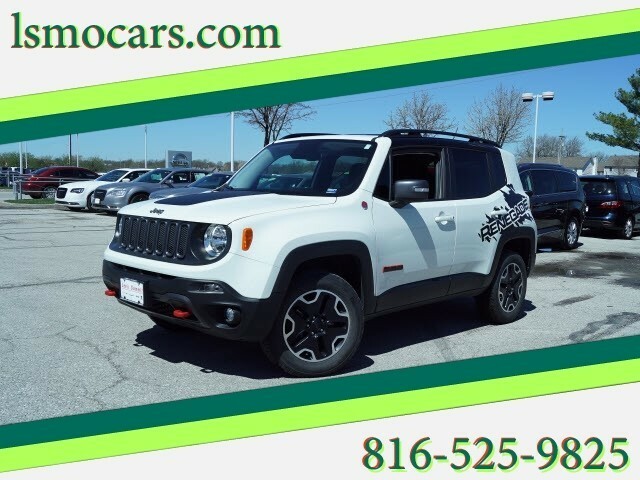 At home in the country and in the city, this 2016 4WD Jeep Renegade Trailhawk has been wonderfully refined to handle any occasion. Smooth steering, superior acceleration and a supple ride are just a few of its qualities. Low, low mileage coupled with an exacting maintenance program make this vehicle a rare find. 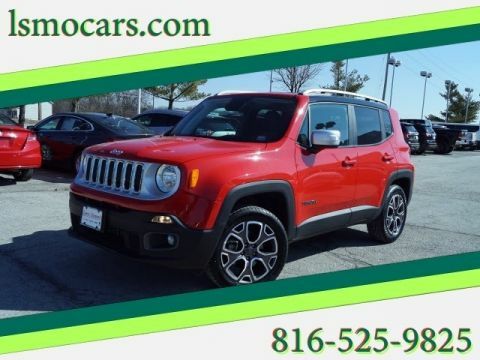 Enjoy the comfort of knowing this Jeep Renegade comes equipped with a manufacturer's warranty. More information about the 2016 Jeep Renegade: The Renegade is an important vehicle for Jeep. It's the first time they've ever committed to building what they call a small SUV. Jeep has been building compact SUVs for a while, but now they truly have a vehicle that doesn't just work in the city, but thrives there. 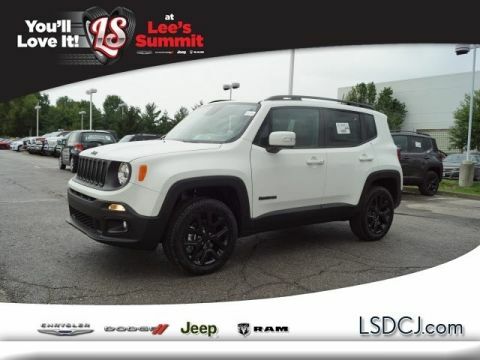 Renegade pricing starts at under $18,000, significantly cheaper than the MINI Countryman which is roughly the same size. 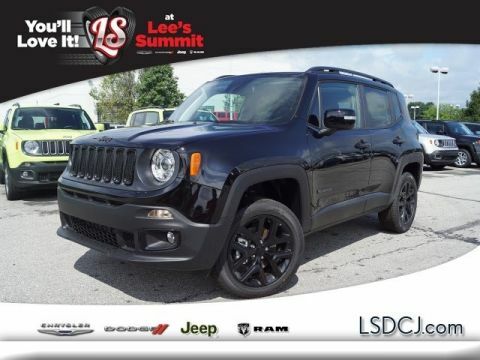 This model sets itself apart with available 4-wheel drive, low base price, Compact dimensions, good fuel economy, lots of optional equipment, and short wheelbase for easy parking At Lee's Summit Chrysler Dodge Jeep Ram, we are proud to offer a high quality selection of pre-owned vehicles from many major auto manufacturers at competitive prices. Please call (816) 525-9825 to schedule your V.I.P. test drive appointment today or stop in and see us at 1051 SE Oldham Parkway, Lee's Summit, MO 64081 , when you see something you are interested in.